Located south-west of Tokyo, Hakone is famous for its natural hot springs, beautiful nature and stunning views of Mt. Fuji. A visit to Hakone a great way to escape the busyness of Tokyo and a convenient way to get an onsen experience during your time in Japan. While you can visit the area in a day, I’d highly recommend spending the night in the area. The best way to explore Hakone is by picking up the Hakone Free Pass which allows you unlimited access to the transportation options in the area as well as discounts to other attractions. The pass comes in two or three-day options. While you have the freedom to explore as you like using the pass, I found the most convenient way is by going around in a circle following the recommended route on the brochure you receive when you purchase your pass. 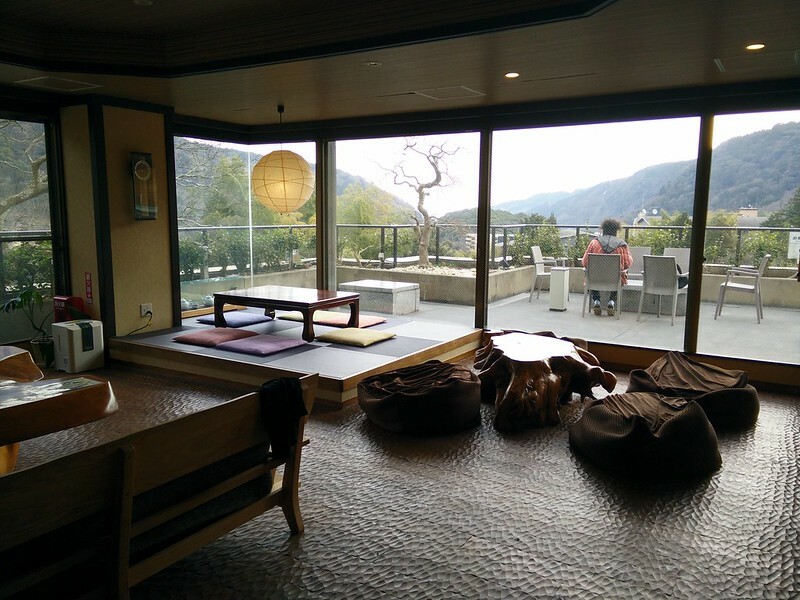 Check out my full review of the Hakone Free Pass and see if it is worth it for you. The focal point in Hakone, Ashinoko Lake is located south-west of Mount Hakone and along the Tokaido road, the main link between Kyoto and Tokyo during the Edo period. 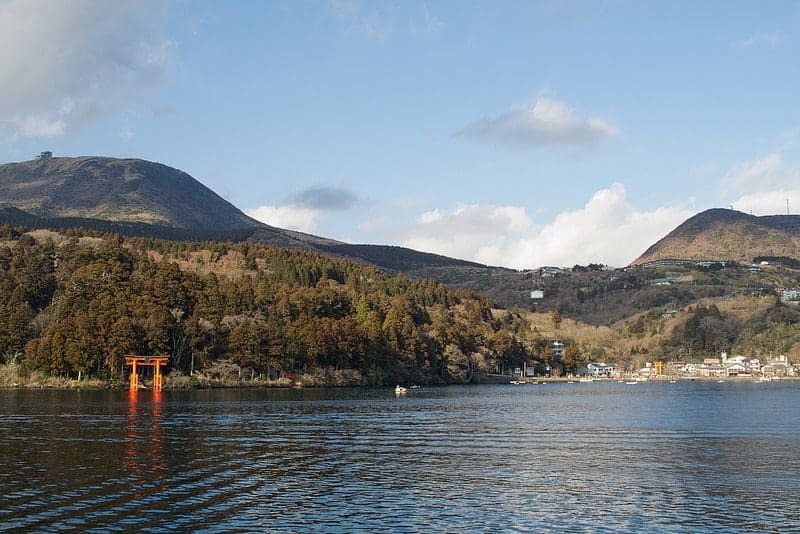 On its shores is the Hakone Shrine with a torii gate that overlooks the water. The view of the lake towards Mount Fuji from Moto-Hakone is one of the iconic sights in the area if you’re lucky with the weather (I wasn’t much to my disappointment!). You can also experience the lake and its surroundings by riding on one of the sightseeing boats painted like a pirate ship (why I have no idea – seems a bit tacky!). Each of the nine different types of transportation options available to you with the Hakone Free Pass is a tourist attraction in itself. 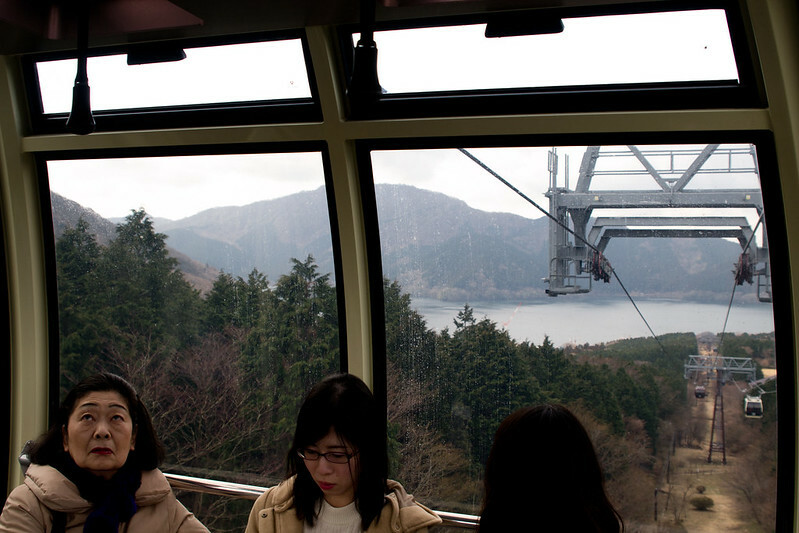 From take a cruise on Lake Ashi to the ropeway to Owakudani, each is different in its own way and allows you to take in the beautiful surrounding and nature in the area. 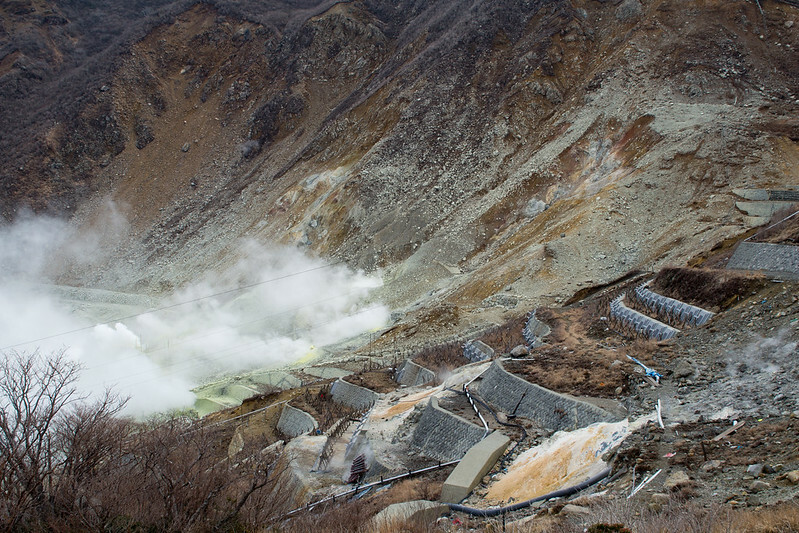 Owakudani is the area surrounding the crater created by Mount Hakone during its last eruption. It is still a volcanic area and you can smell the sulphur in the area. During my visit, the nearby walking and hiking trails to steam vents and pools were closed due to volcanic gas. However, friends that have visited previously were able to explore the area on foot. 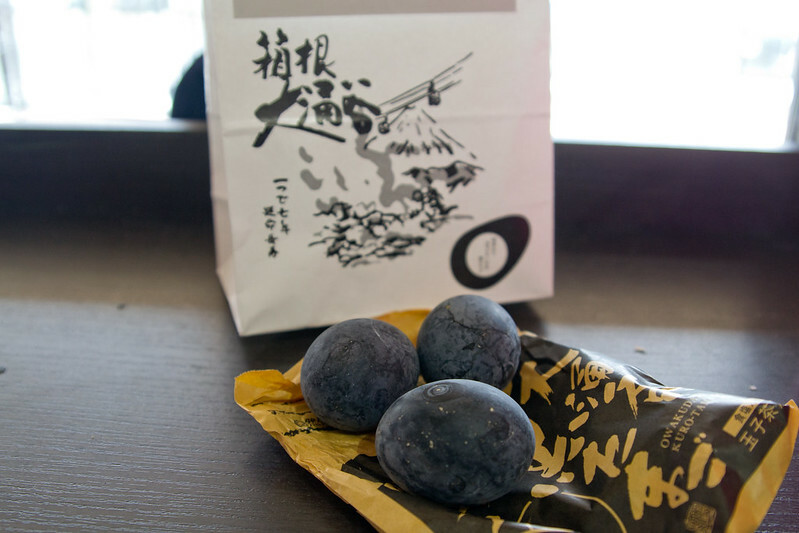 It’s here that you can purchase the famous Owakudani black egg, or Kuro-Tamago, which is said to add seven years to your life. I don’t know if all you need is one egg for an additional seven years, or if you need to keep eating them every day, but I like hard boiled eggs so it can’t hurt right? 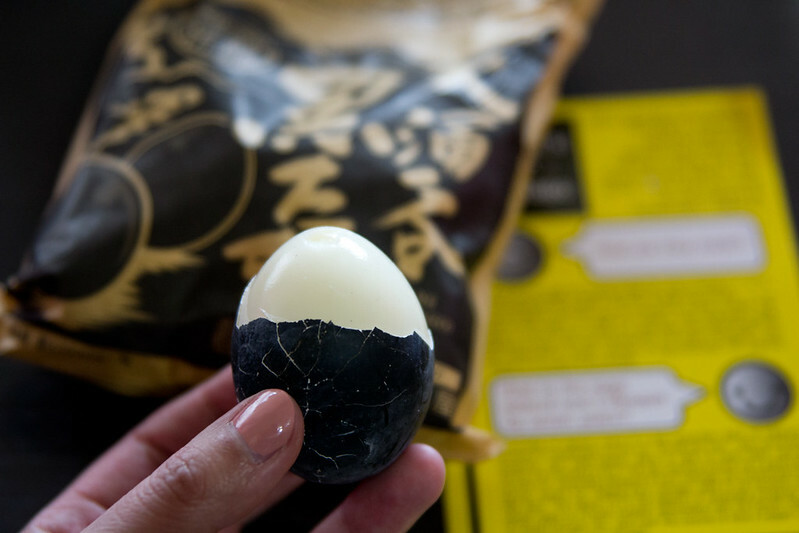 In any case, eating a hard boiled egg with a black shell is definitely a novelty. Eggs are on sale at the gift shop with five in a bag for 500 yen. I didn’t have the option to only just buy one. I had to get five of them – the downside of being solo! I tried seeing if I could spot any other solo travelers to split a bag, but it seemed like everyone was in a group. I ended up just getting the bag and sharing with some new friends at my next hostel. The black egg was a great ice breaker! The egg gets it colour from being boiled in water containing sulphur and iron. I have read reports that they may smell slightly of sulphur, but mine didn’t – or maybe I was already accustomed to its smell in the air? Once cracked, the eggs were just like any hard-boiled egg inside. They cook it by boiling and then steaming the eggs and I found them to be perfectly cooked without that green ring that mass boiled eggs are prone to have. If the trails weren’t closed, you can even walk up to where they boil the eggs. Thumbs up from this hard boiled egg connoisseur. 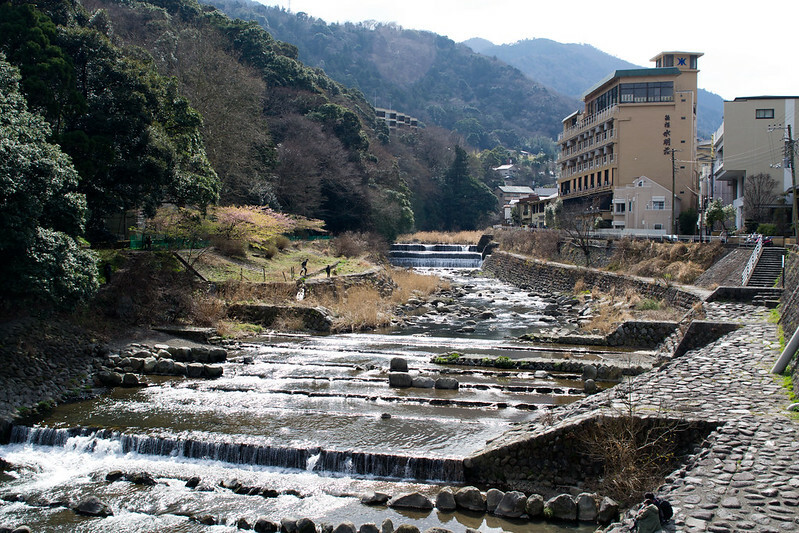 Hakone is famous for their natural hot springs and it would be a pity to come to the area and not experience it. The vast majority of accommodation options offer an onsen and some facilities have day passes available as well. There is onsen etiquette to be followed and be warned – the onsen facilities are to be enjoyed in the buff. 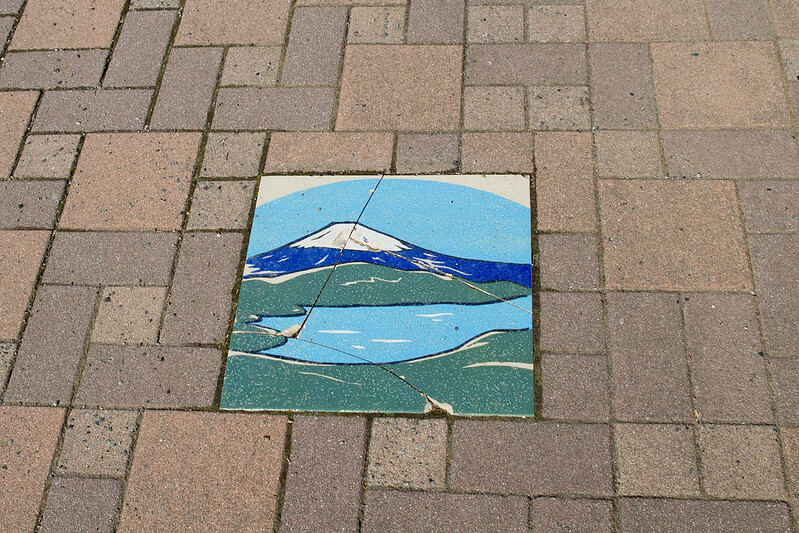 Hakone boasts views of Mt. Fuji from various viewpoints along Lake Ashi and on the ropeway on the way to Owakudani. Unfortunately for me, the weather just wasn’t cooperating and the two days I was in Hakone, I wasn’t able to see Mt. Fuji. There are a couple of other highlights in the area that I opted to not do since it was still winter and quite cold and windy outside. If you’re visiting at a warmer time of year, consider exploring Gora Park full of beautiful flowers or the Open Air Museum near Gora. 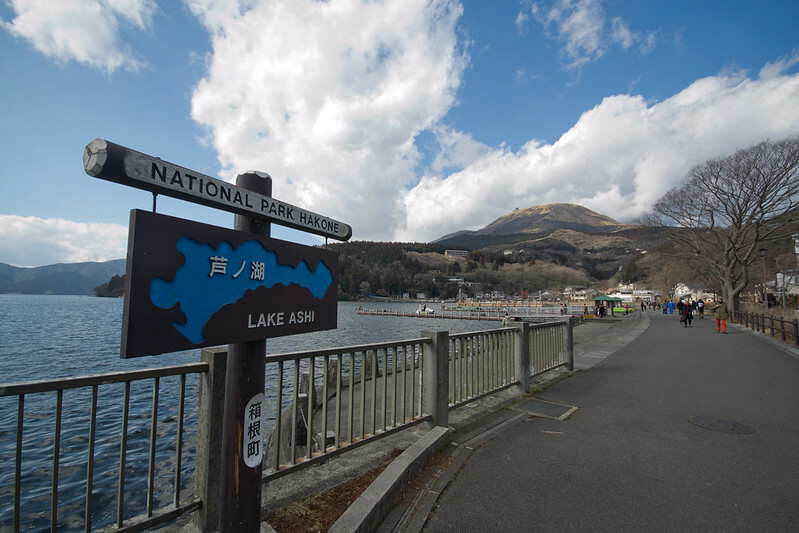 There are also numerous hikes in the area or you can rent a kayak and hit the waters of Lake Ashi. With Hakone located so close to Tokyo, it’s possible to visit in just one day, however, I feel for you to make the most of the Hakone Free Pass, it’s best to find accommodation in the area. Not to mention, you can spend much more time relaxing in an onsen and not worry about having to catch a train back to Tokyo. However, if you do decide that you can only go for a day, you can purchase the Hakone Free Pass at Shinjuku station which includes return fare from Tokyo on the train. An option for an onsen experience during a day trip to Hakone is at Hakone Yuryo which offers a free shuttle bus from Hakone-Yumoto Station. Spend the day explore Hakone before heading to the onsen. What hostel has a built in onsen?! K’s House Hakone does! The hostel is located on a quiet street not too far from the train station (they say it’s a 15-minute walk, but it goes up and down so probably a bit longer). It’s only on one route of the bus line so it does take some time to get around (approximately 30 minutes to the lake). There are a couple convenience stores nearby, but the do involve walking 10ish minutes. Otherwise, I found the facilities to be incredibly clean and comfortable. The dorm rooms are like mini capsules and I had my own pod with a built-in locker and a curtain for privacy. And the best part of it all? A dip in the onsen is included in your accommodation price! They have both an indoor and outdoor onsen. I only checked out the outdoor one which is a bit small. There were two others in there when I visited and the pool was starting to feel a bit small. 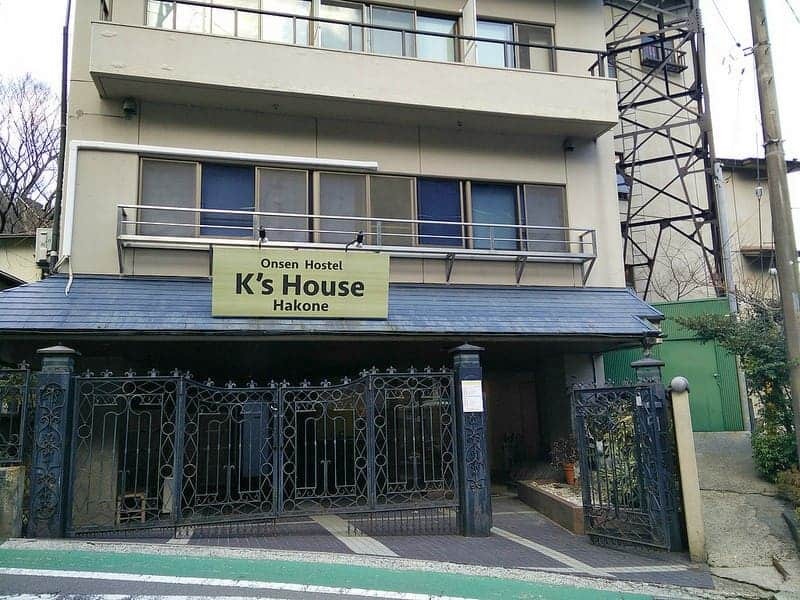 It’s not as fancy as some of the other onsen accommodation options, but if you’re traveling on a budget, K’s House Hakone is a great option. 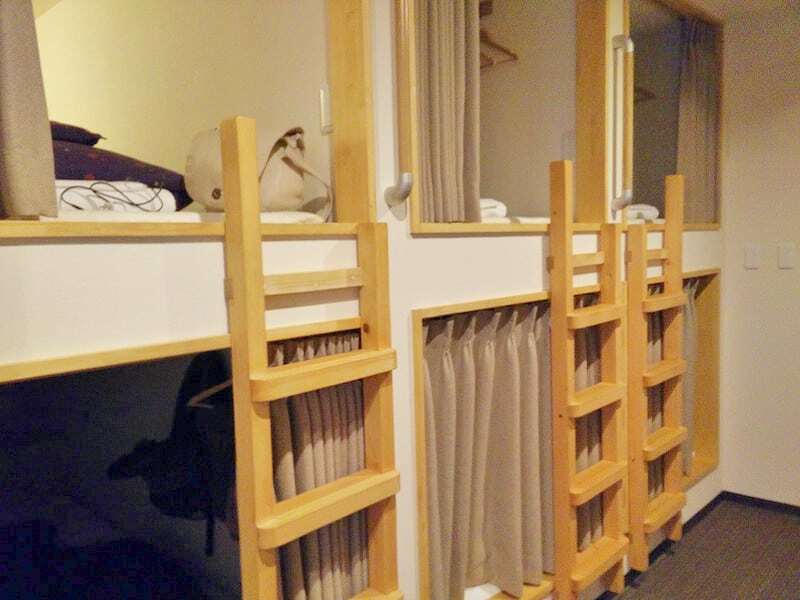 Prices ranging from ¥3,500～¥4,940 for a night in a dorm room. Please consider booking your Hakone accommodation through the included link. There are no additional costs for you and it helps support this website. Check out reviews and book your stay at Priceline, Hotels.com or Tripadvisor.com. If you prefer a more traditional stay, consider booking at a ryokan, a traditional Japanese inn where you sleep on tatami mats. Some of the high-end ones in the region include a private onsen right in your room. While it may seem like there isn’t a ton of things to do in Hakone, that is partly the point. Visitors flock to the region to relax and soak in onsens. If you’re visiting Japan and feeling exhausted from your travels or just need a break from huge cities, then plan a day or two in Hakone to relax and reset yourself before you head home. This post is linked up with Monday Escapes with Tin Box Traveller, Travel Loving Family, Mini Travellers and Extraordinary Chaos. Have you been to Hakone? What were some of your highlights? How do you like to rest when you’re traveling? One of the only feel hostel options in the area! Really like the hostel chain. What did you not like about the eggs? For sure! Getting into the onsen was definitely mind over matter. What a fascinating trip those volcanic eggs look cool. I;d really love to visit that area. Thanks for linking up to #MondayEscapes. I loved Hakone! Although I think I ate so many black eggs, it probably ended up shortening my life span (you know, cholesterol and all!). I really enjoyed the Open Air Museum there as well. Haha! I definitely had my fair share of them as well. I was too cold to go check out the museum, but so many people have raved about it. Sad I missed out. Wow it looks like a completely stunning place to visit and those views are just beautiful. I was very intrigued by those eggs…I think the sulphur smell might put me off (if it happened to smell!) but I’m sure you do become a bit oblivious to it eventually! Yes, the smell in the air does go away. I was happy the eggs didn’t smell like it either! Hi, I’m planning to go to Hakone tomorrow for 2 possibly 3 nights! How did you find the vibe in the hostel ? I’m staying here also and I am really dying to experience a hostel in Japan with a bit of an atmosphere! Really helpful post by the way- thanks !